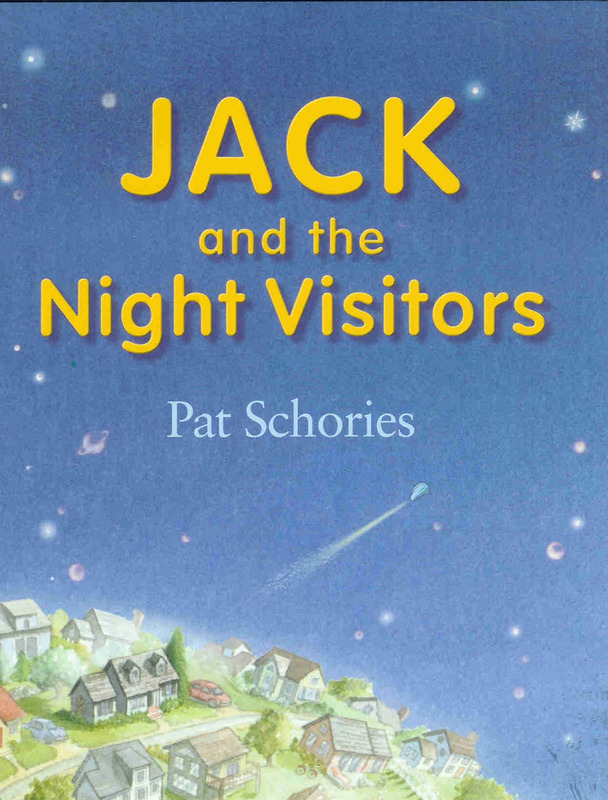 One night Jack the dog and his boy are woken up by a light shining in the window. There is something outside, something on the roof perhaps? When they go to have look, the boy and dog see a little vehicle sitting on the roof and inside the vehicle there are number of small robot like creatures with glowing antennae, eyes, and noses. In a moment the little creatures have hopped through the little boy’s bedroom window and they are soon exploring his room. What a wonderful time the boy and dog have with their guests. While they have a crunchy cereal snack - which the visitors greatly seem to enjoy – the little boy develops a special fondness for one of the little creatures. Eager to keep him as a pet the boy puts the visitor in a jar which clearly terrifies it. Then everything goes wrong. The remaining visitors run away, scrambling to get to their vehicle on the roof. Surely they won’t leave their desperate comrade behind? Thankfully Jack knows just what to do and soon the little visitor, Jack, and his boy are all, once more, where they should be. Pat Schories has once again skillfully created a tale which needs no words to help the story along. Children who cannot read on their own yet will be gratified to look at a book which tells a story and which is perfectly catered to their needs. The story has a definite plot-line and children will understand, through the little boy’s experience, that creatures have needs and minds of their own and that they are not around simply to be pets for our entertainment. Dog lovers will be delighted to see that it is Jack, the loveable canine, who saves the day.